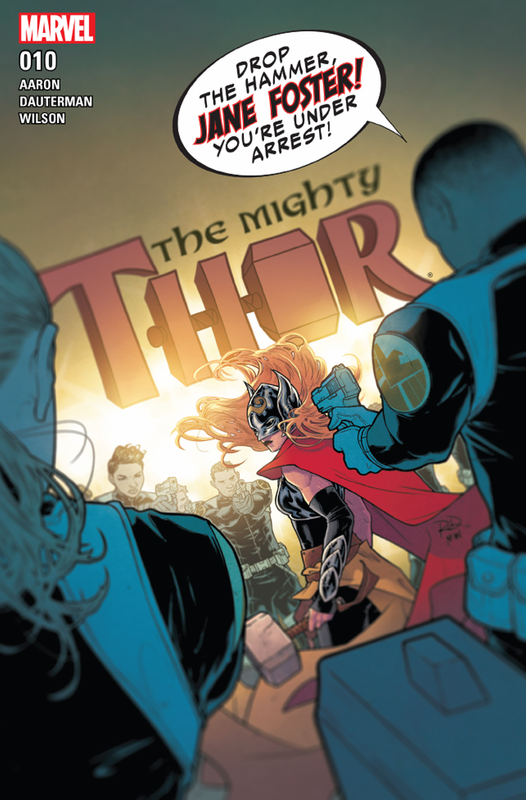 There are many incredible looking comic books out these days, but one of my favourite-looking series at the moment is thanks to the incredible art of Russell Dauterman and colourist Matthew Wilson in The Mighty Thor. 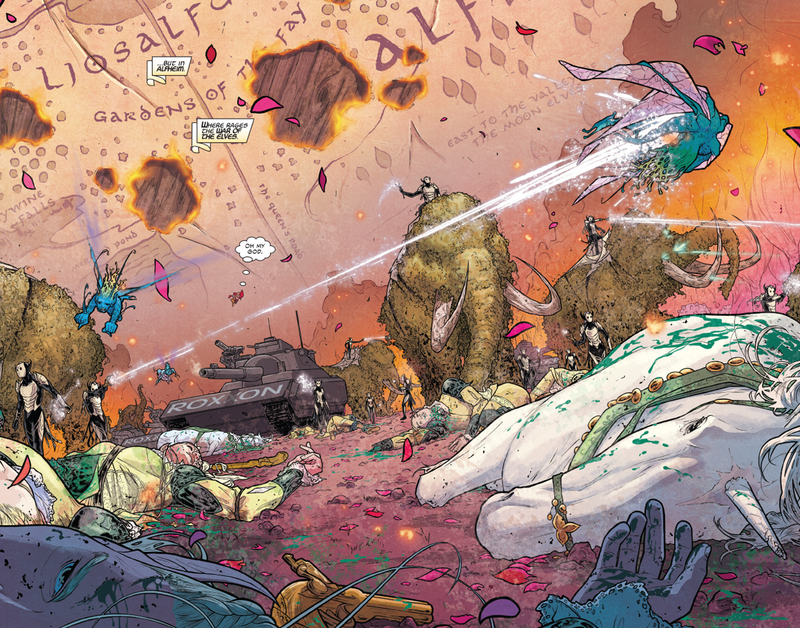 Here's some choice bits of art from their wonderful work. 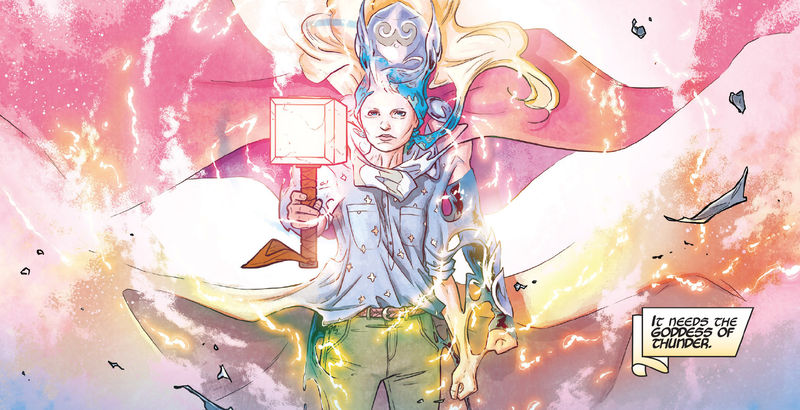 From the cover to The Mighty Thor #1. 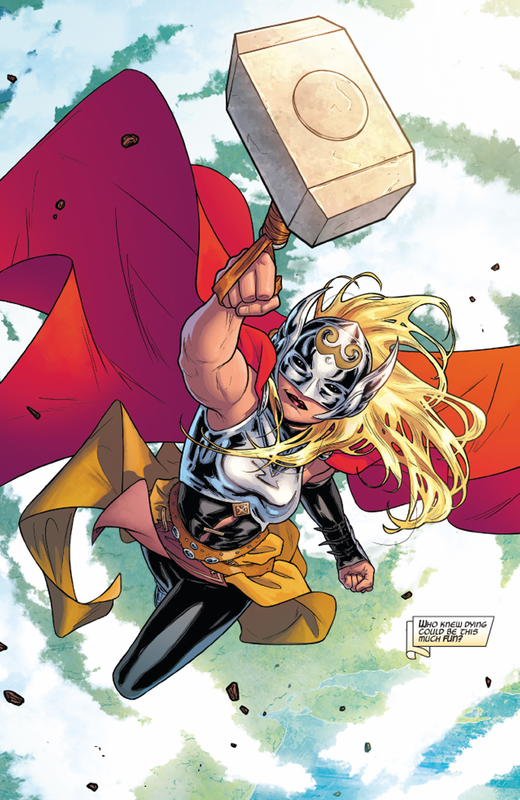 Dauterman and Wilson have been working on Mighty Thor for the vast majority of Jane Foster's time as the Goddess of Thunder, from 2014 until today (and beyond), and they have secretly become some of the finest artists working on a book at Marvel today. 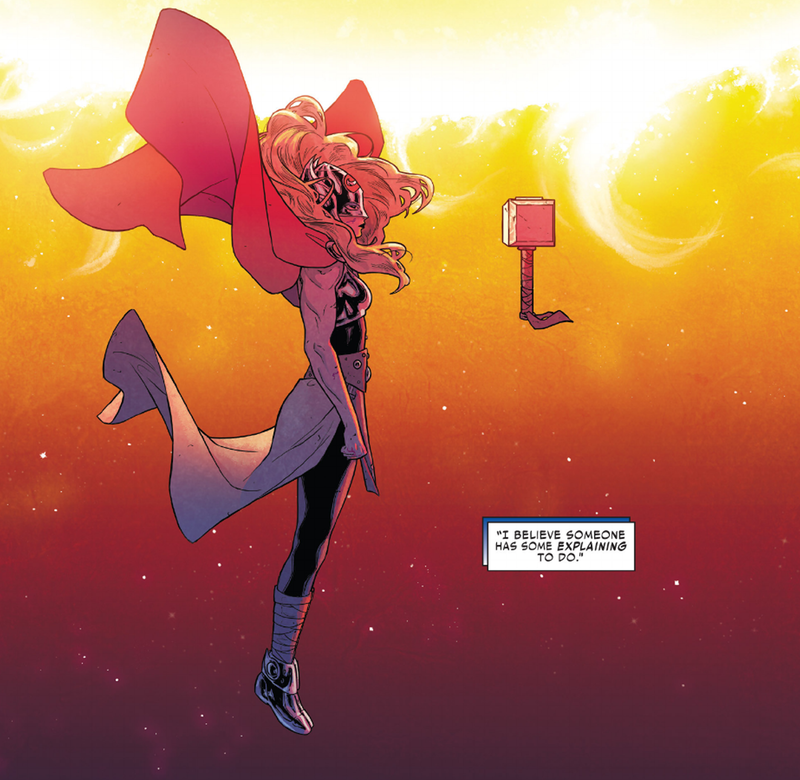 As a series, Thor has had some incredibly talented artists drawing it, but Dauterman and Wilson are responsible for panels so sweeping and gorgeous that I can't help but stop and sigh every time I flick through an issue. 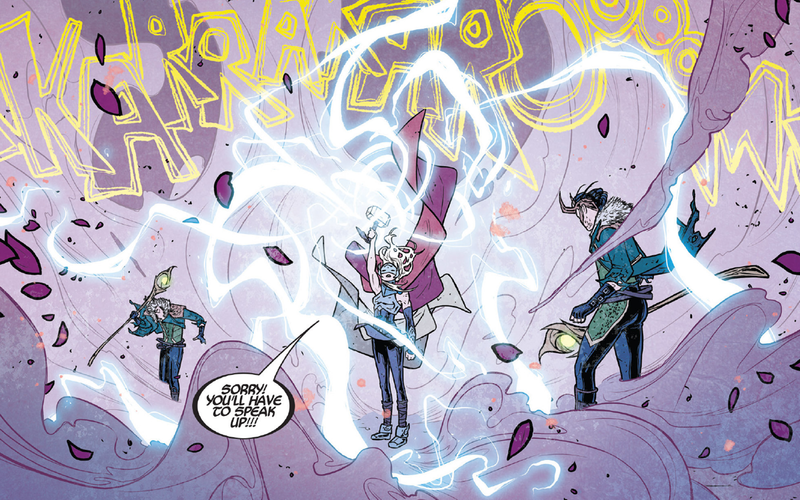 From last week's The Mighty Thor #11, and currently my favourite comic book panel of 2016. 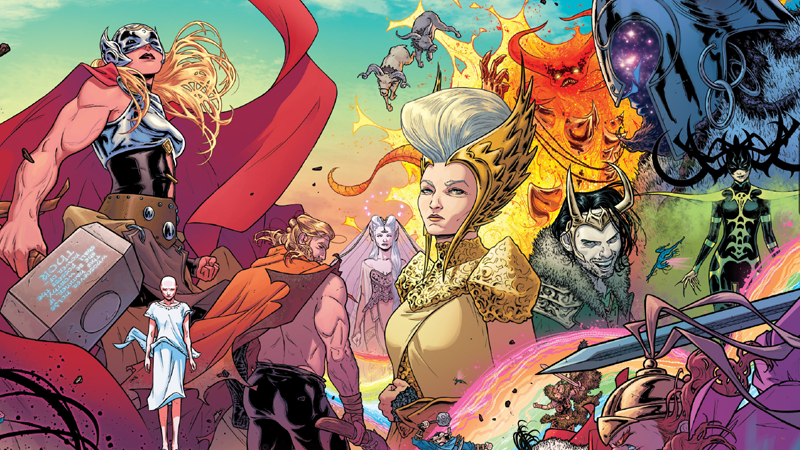 Wilson's colours are vivid and bold, equally warm whether it's painting the humdrum of Jane Foster's life or the most bizarre vistas in the nine realms. 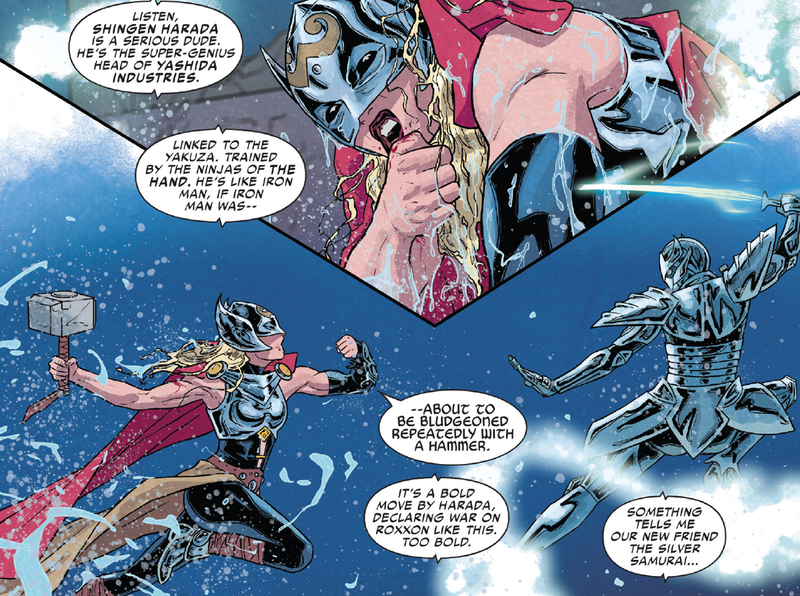 Dauterman's line work is clean and simple, and yet vivid in detail. 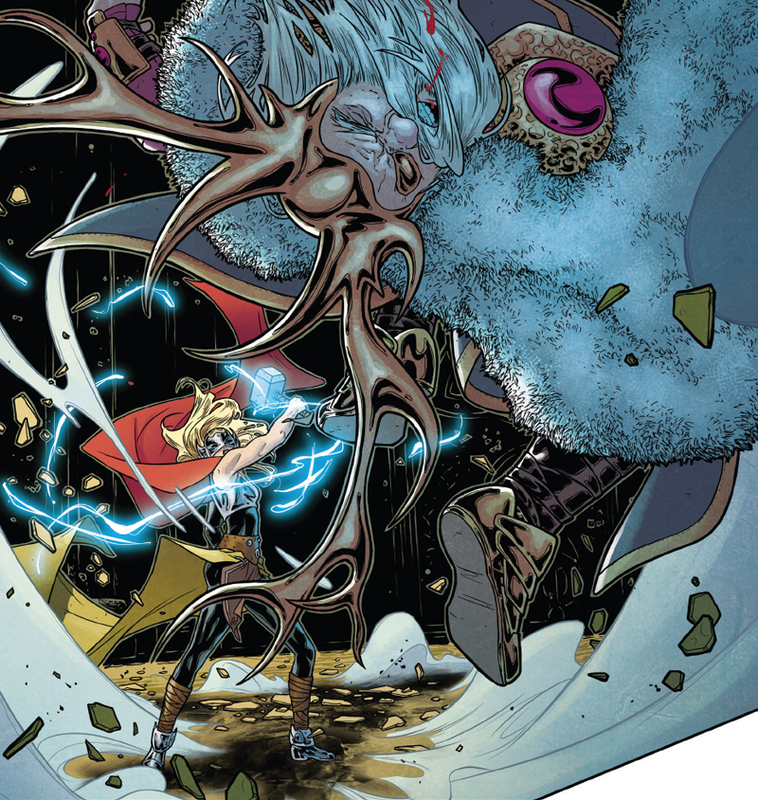 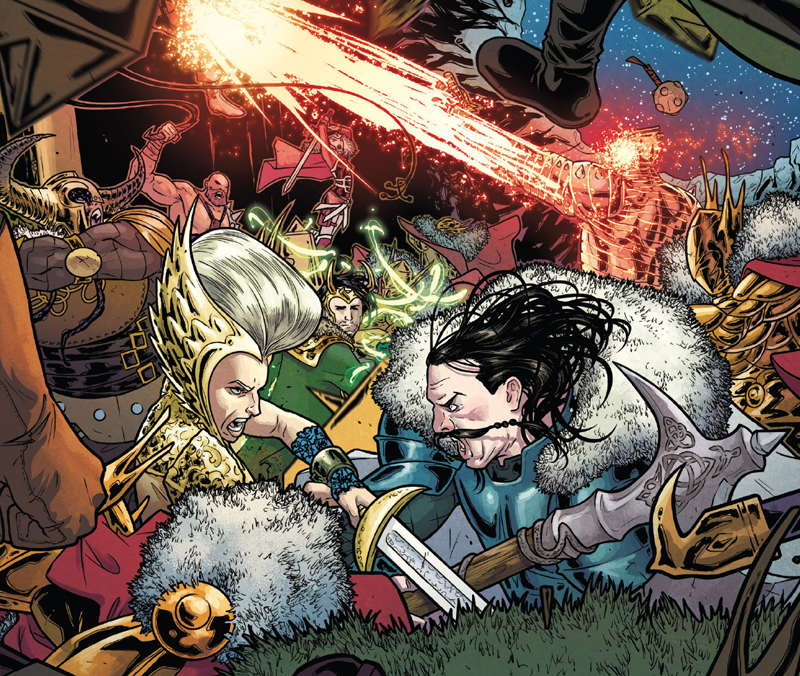 They shine in practically every panel, but when The Mighty Thor gets epic and fantastical — and considering it's a Thor book, that's very often — they shine, delivering grandiose and rich splashes that are truly beautiful to behold. 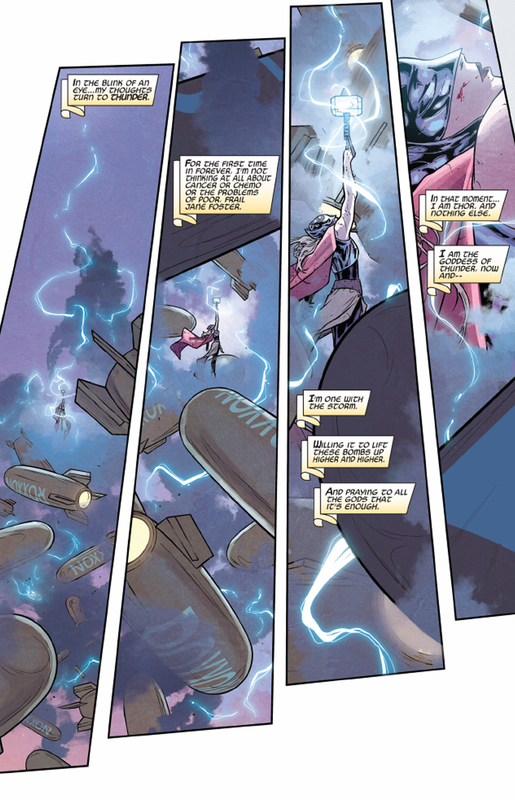 Without further ado, here are some of my favourite pieces from the most recent run of The Mighty Thor, which kicked off again last year. 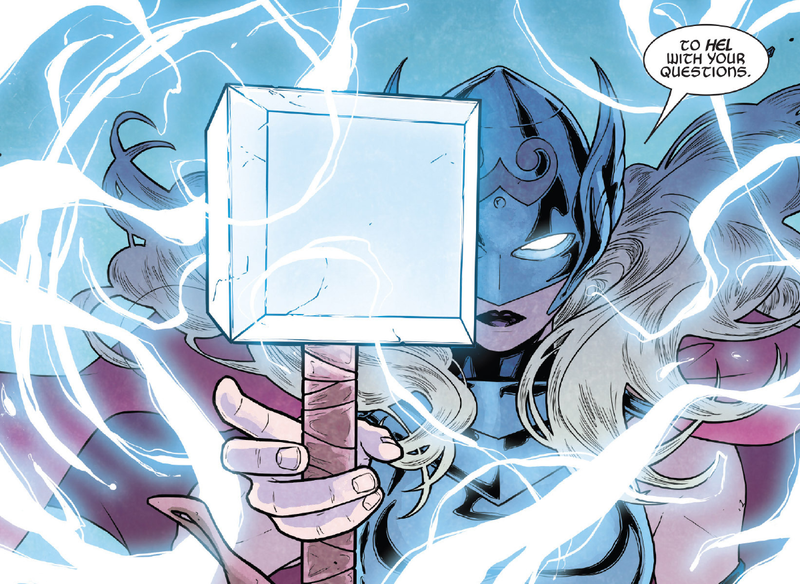 Just as a warning, there'll be a few minor spoilers for the 11 issues below.